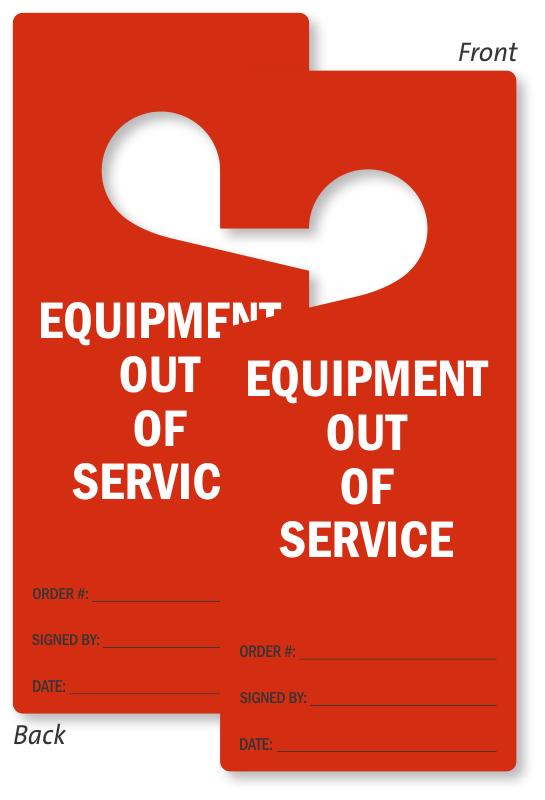 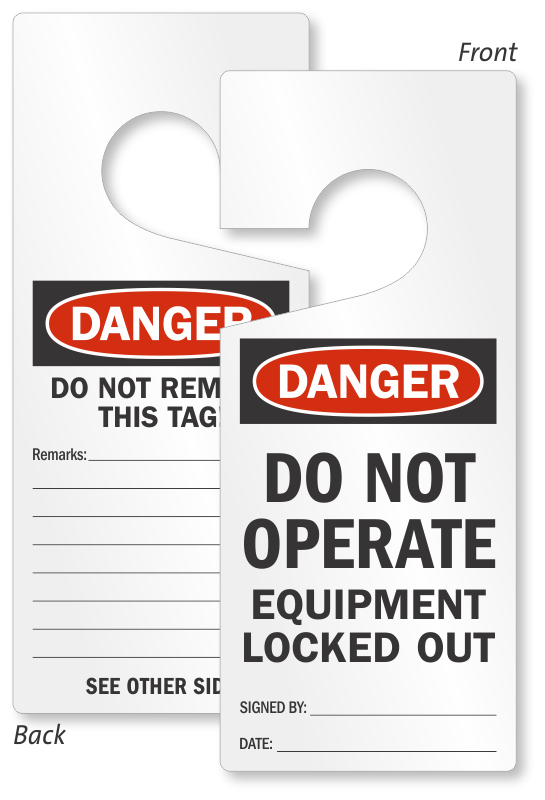 Identify machinery in repair with prominent Lockout Door Hangers. 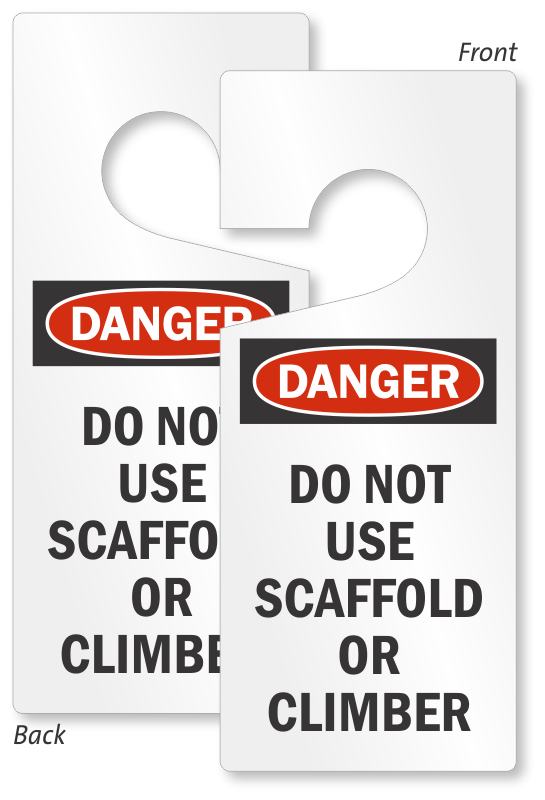 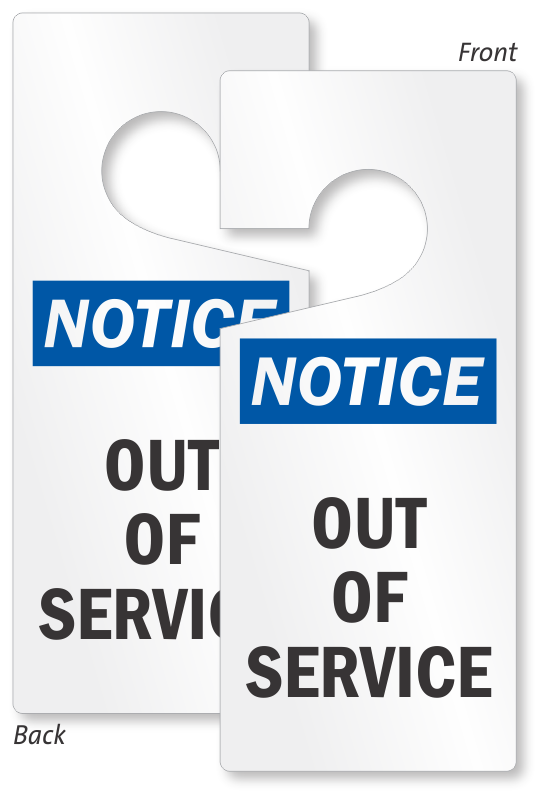 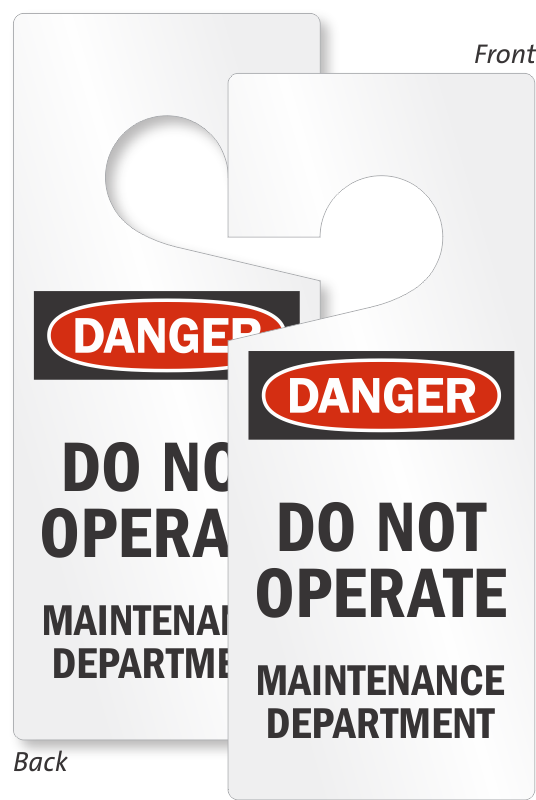 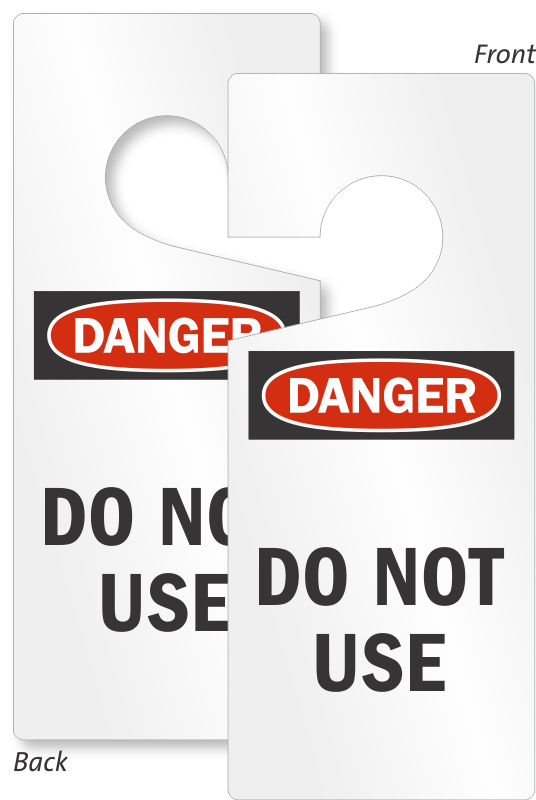 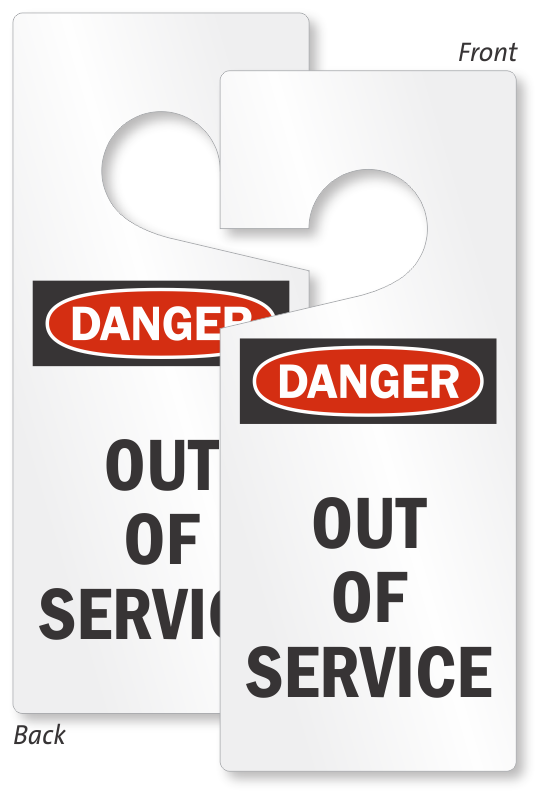 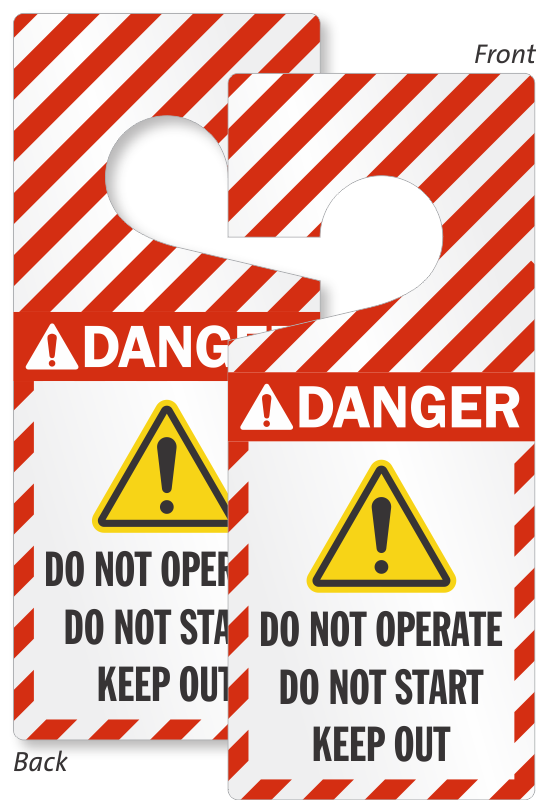 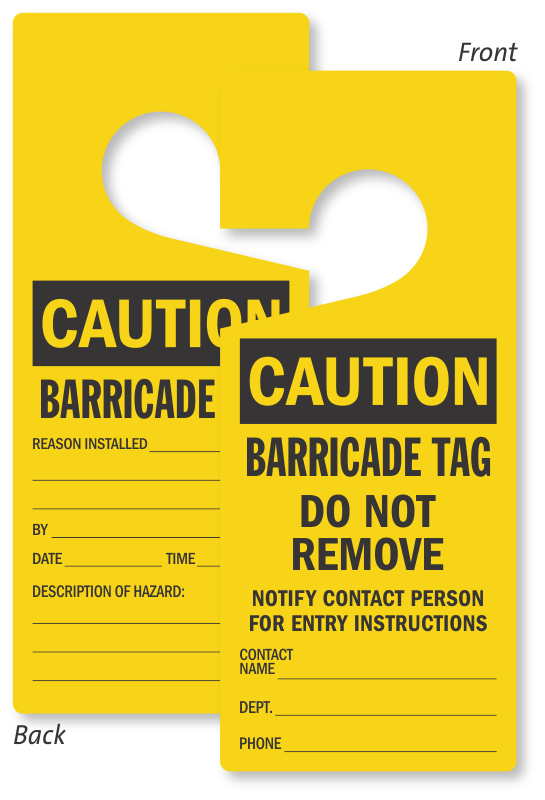 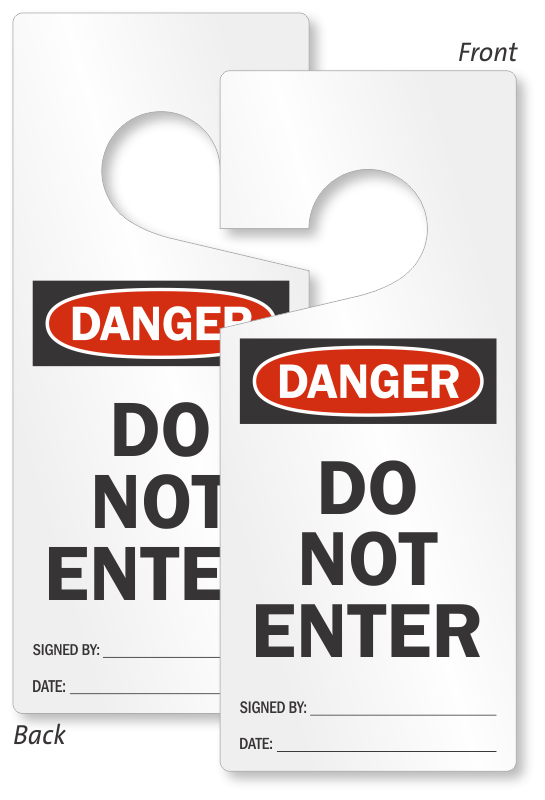 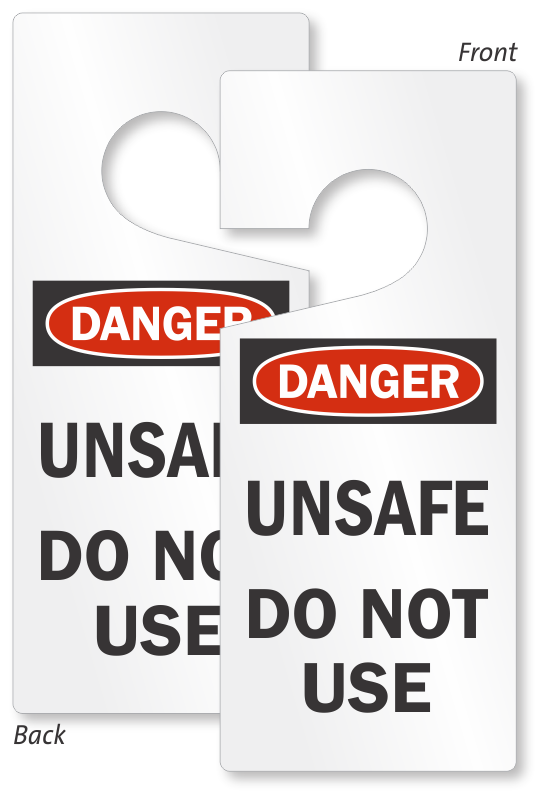 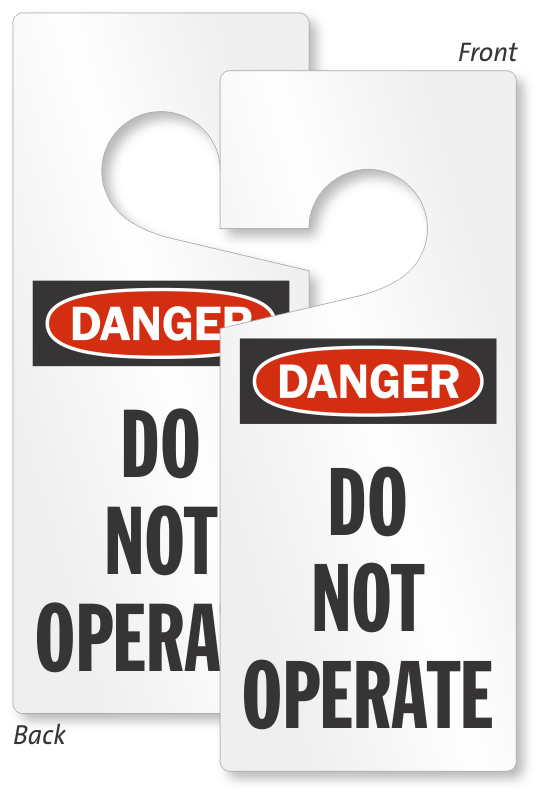 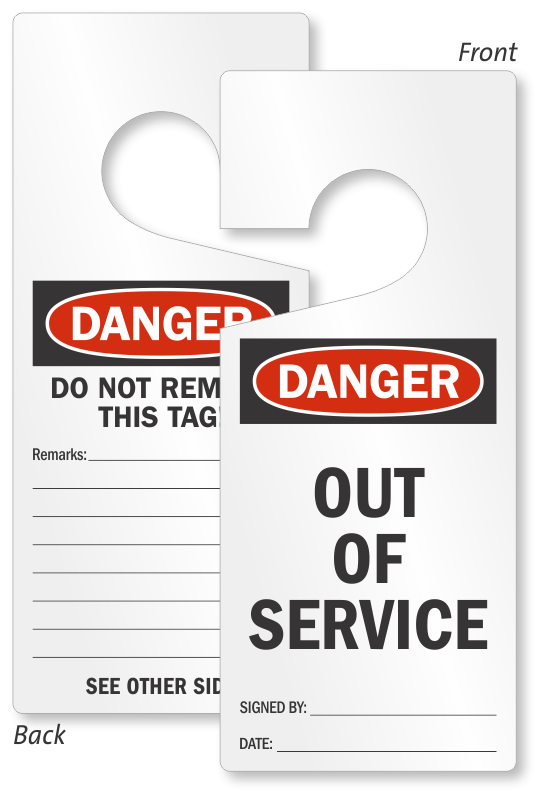 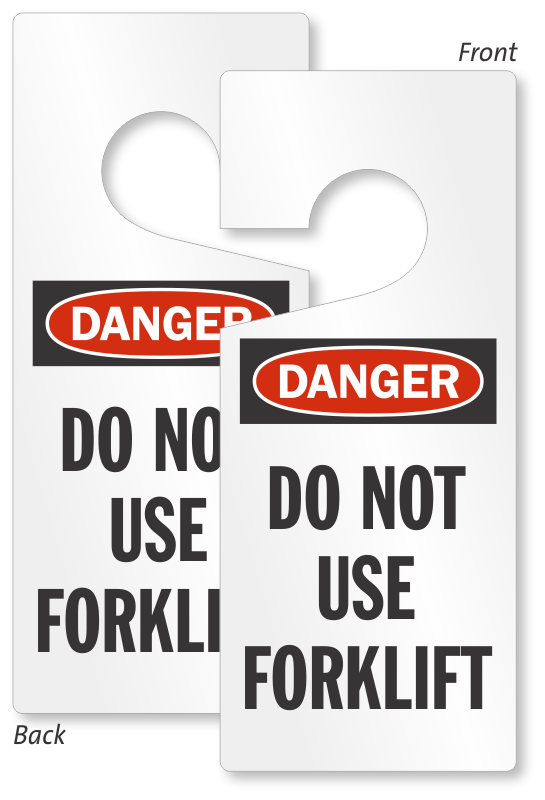 Prevent accidental use of faulty equipment and restrict access to critical areas by alerting working to dangers with bright door hang tags. 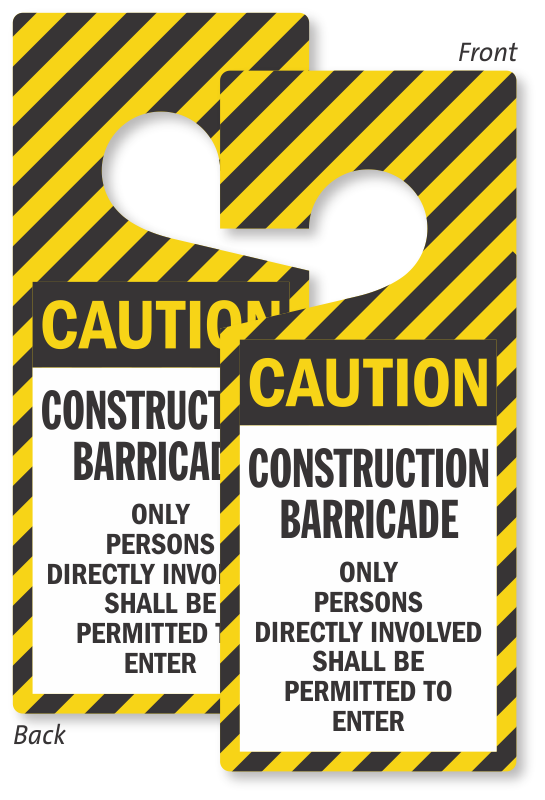 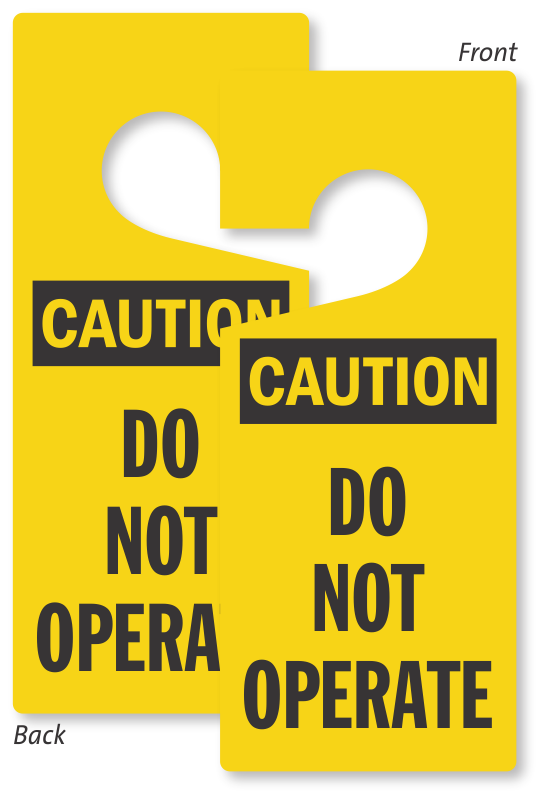 • Digitally printed on two sides with your safety message and space for all other critical communication. 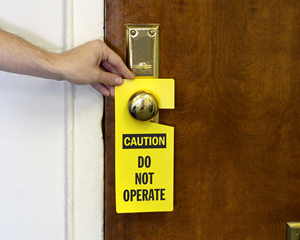 Write with pen or marker. 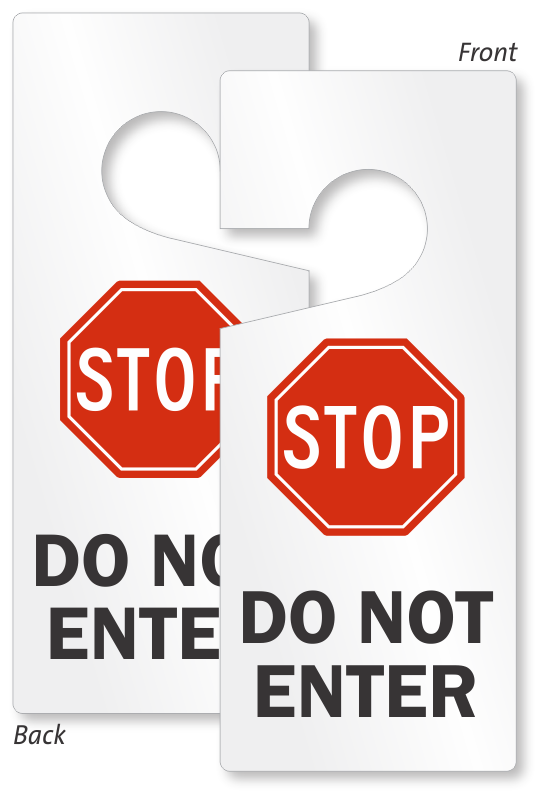 • Tags sit easily on door handles and knobs. 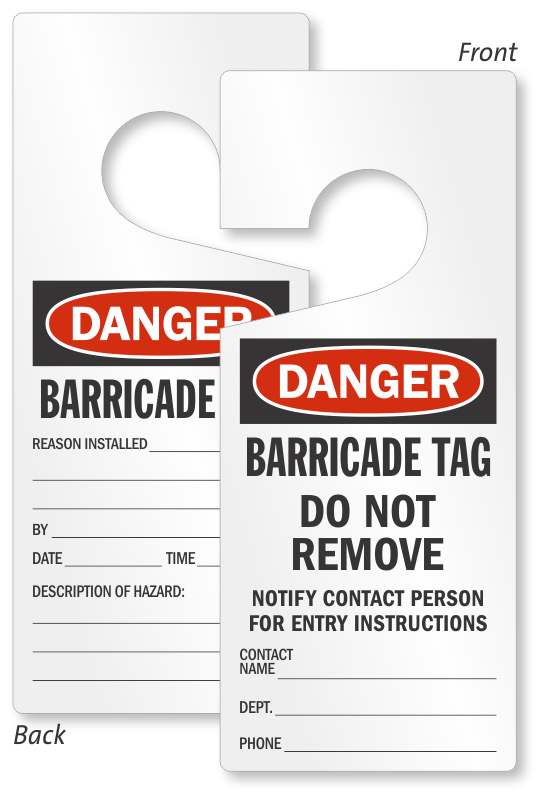 • Resistant to water, dirt, grease, thick vinyl door tags last a long time.